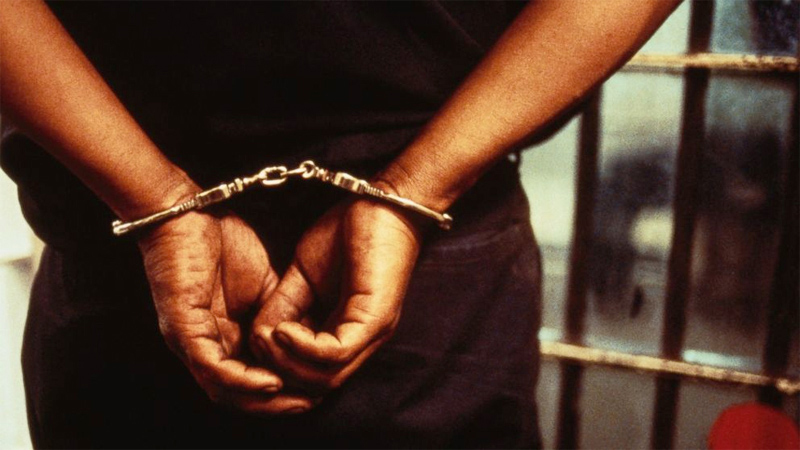 The Security Officer-In-Charge (OIC) of a garment factory in Kilinochchi was arrested in connection with the killing of a female security guard, Jaffna Senior DIG Roshan Fernando told the Daily News. Her body was found in a field on August 30. The deceased woman and the OIC were both former LTTE cadres. The suspect security OIC is married with two children while his wife too is an former LTTE cadre. Security personnel for this factory were supplied by Avant Garde security. The suspect was produced in court and remanded till September 14. Police had found the mobile phone of the victim and based on call records they were able to identify the suspect. The woman had apparently been involved with the said OIC and police suspect that as the woman was five months pregnant, there would have been a dispute between the two that could have led him to strangle her. The suspect had told police during interrogation that he had been travelling on the motorcycle belonging to the victim with her seated at the back and they had an argument which led to him strangling her with the strap of her ID worn with the uniform, the Senior DIG said. The suspect had then removed her uniform and dumped her body. The woman’s body was found under an anicut on August 30. Police were able to determine that the woman was employed as a security guard from her uniform. According to the autopsy report, the woman was five months pregnant.